Your pool heater is the most complex item in your pool system. It takes a special level of care and time to properly diagnose and balance a unit that has water, gas, and electricity inside of it. Heater diagnostics are available. Call for details. Heat pumps require little installation and can save you money. 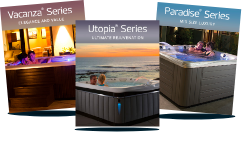 Operating at 5 to 6 times the efficiency of a standard gas, oil or electric pool heater, a heat pump can show big monetary rewards in areas with high natural or propane gas costs. 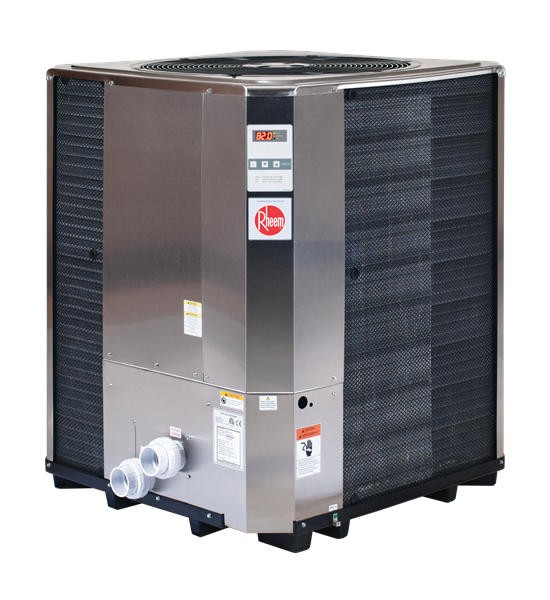 To run this efficiently, the heat pump extracts the heat from the air, intensifies the heat with a compressor, delivers the heat to the water, and exhausts the cooler air out the top of the unit. Because it uses the warm ambient air temperature to do the work, it is a very efficient way to heat water. Gas heaters will require more initial labor, including running gas lines or installing a propane tank, but the system will heat your water within hours after turning on. This will have your pool up and running in no time where other systems could take days. Gas heaters pump water through a series of heated tubes, heating the water and passing back to the pool. The heat entering the water is produced by the gas burners and are not dependent on air temperature to function. These systems will continue to run properly instead of being disabled due to colder weather. Gas heaters will lower high electricity costs and save you money, especially where gas prices are low. 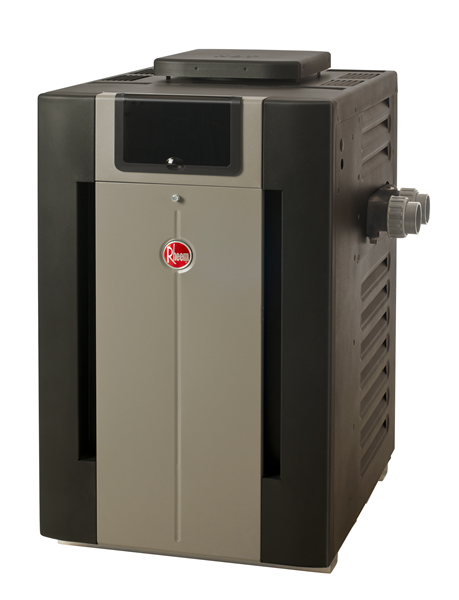 When purchasing a gas heater, remember to research the difference in features including water connections, indoor or outdoor, natural or propane gas, and heat exchangers. Contact us to determine which model is best for your home and needs. If you are unsure about installation, leave it to the professionals. If installed incorrectly, you may be looking at future repair expenses.